Salesforce's vision for customer relationship management (CRM) has always been larger than the industry imagines it. We exist to innovate for our customers so, in turn, they can serve their own. That means constantly pushing Salesforce and the industry in new directions to drive the future of CRM. The acquisition of Quip almost three years ago was part of a bold and audacious plan: Build modern productivity apps directly into the #1 CRM so Trailblazers can transform how sales and service teams work together. For too long mission-critical processes like account plans, case swarms, and account transitions have lived outside of Salesforce – slowing reps down from selling, and agents from resolving customer issues. Everyday Trailblazers have resorted to email threads and chat storms, confusing file versions, or worse, even post-it notes to work together. By bringing productivity into the context of the Salesforce Platform, we are yet-again redefining the meaning of CRM. As part of Salesforce's latest Spring '19 release, you can now embed Quip's collaborative documents, spreadsheets, slides, and chat rooms directly within Salesforce objects and records. This powerful addition is the first of its kind and fundamentally changes the way Sales and Service teams get work done together inside the Salesforce Platform. Real-time – simultaneous editing, commenting and messaging in docs, spreadsheets, and slides. Rich – robust content creation, social messaging, and mobile collaboration. 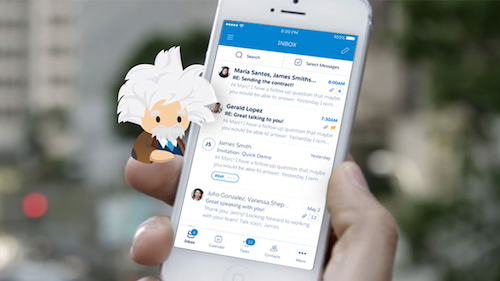 Contextual – built-in chat is in every doc so all work lives directly in Salesforce. Templated – Salesforce Admins can enforce business processes with single-click, best-practice doc templates. Integrated – Quip and Salesforce are a secure, two-way street of data exchange and decision-making. Cloud-based - Built on our trusted technology platform, Quip for Salesforce is 100% cloud-based. As of today, Quip can now attach to Sales Cloud and Service Cloud – and when combined with Chatter, sales reps and service agents can live and breathe Salesforce all day long. We will roll out templated functionality across industries and the Customer Success Platform throughout the year. Thousands of Salesforce customers have already standardized on Quip for their productivity and collaboration needs including some of the largest banks, tech companies, and Fortune 100 companies across the globe. Citi, Amgen, and Amazon all joined us on stage at Dreamforce 2018 to share their Quip stories. 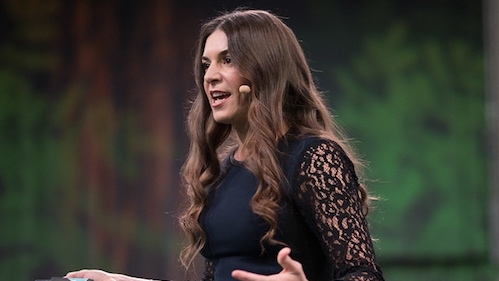 What we've learned from customers over the last two years has brought us to where we are today: A single experience that combines both structured and unstructured data under the Salesforce Platform. Salesforce is the system of record for structured business data. Quip is the system of action for unstructured data – plans, documents, decisions, communication, and coordination. 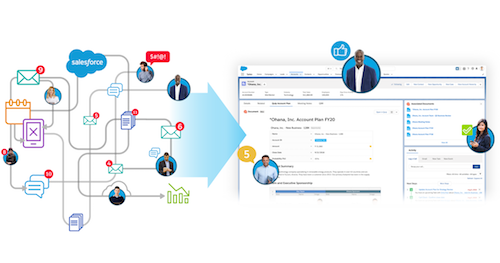 By bringing Quip into Salesforce, we've put productivity in the context of Salesforce, helping sales and service teams win deals with customers and keep them happier. Quip for Salesforce brings modern productivity directly into the Lightning Platform and enables admins and developers to automatically associate the right Quip document at the right time with the right Salesforce record. This means that every business process in Salesforce can now be supercharged with Quip. Salesforce Admins can define which Quip document templates are used to populate relevant records. This gives them the control to automate business processes so sales and service teams can focus and be instantly more productive. If you're already a Salesforce and Quip Admin, all you need to do is add the Quip Document Lightning Component to an object. All the instructions you need are here. If you don't have Quip yet or haven't connected it to Salesforce, start a free a trial and then integrate Quip with Salesforce. The instructions are here. If all else fails, contact one of our Quip for Salesforce experts here. Either way, it's easy to get started, and your team will thank you for it. We hope you enjoy these new updates!